Summer is in full swing, which means that the 4th of July is just around the corner. Fireworks, refreshing beverages, and delicious food are about to be in abundance all over the country. Those living in The Palmer, Englewood, have a front row seat to this year’s festivities. Here’s what you can look forward. The city of Englewood hosts its own 4th of July spectacular each year spanning Belleview and Cornerstone Parks. It features a pirate’s cove, miniature train, and mini-animal farm for the kids. Youth and adults can enjoy the batting cages, miniature golf, and much more throughout the day. The even starts at 3 p.m. and multiple food vendors will cater. Refreshments are in abundance, too, but you can always bring your own snacks to munch on. Fireworks start at 9:30 p.m., and the show is fantastic. The city of Denver itself host the annual Independence Eve celebration at the Civic Center. Lawn seating is first come first serve for a free concert, which usually features the 101st Army Band of the Colorado National Guard and a local band. The City and County Building puts on a spectacular light show and an 8 p.m. fireworks display every year on the 3rd of July. The following day features fireworks around dusk at Elitch Gardens with a display large enough to be seen by nearly every surrounding neighborhood. There is almost always a Denver Outlaws game, too, which also features a spectacular fireworks display. 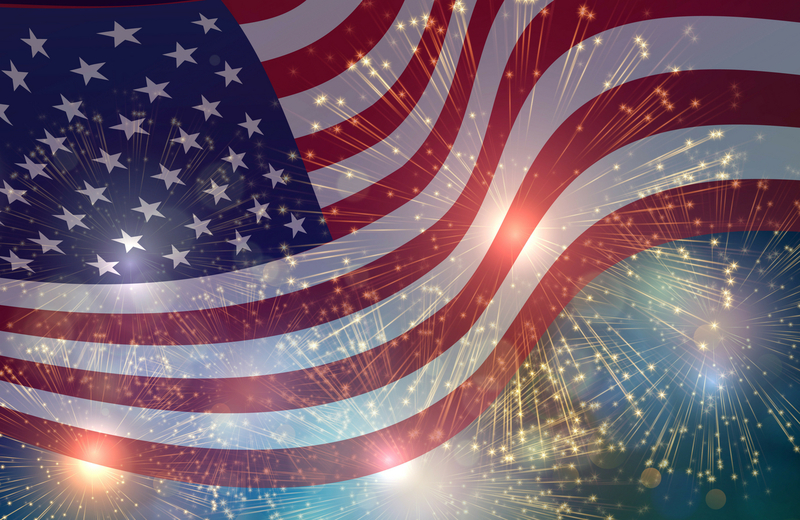 Head over to Aurora and you will find the 4th of July Spectacular celebration. The event takes place at the Aurora Municipal Center Great Lawn where dancing and live music start at 6 p.m. sharp. Delicious food will be catered cookout and food truck style, and there will be plenty of entertainment before dark. Once 9:30 p.m. rolls around, one of the best fireworks show in Colorado begins. Watch as spectacular explosions light up the night sky for a full half-hour until the event’s end at 10 p.m. Best of all, you can take the light rail train to and from the Great Lawn. Head across the city and you’ll end up in Westminster, just past RiNo. The neighborhood hosts a lineup of family friendly activities geared towards keeping the kids happy. You’ll find all sorts of activities from face painting to entertainers making balloon anis as well as dozens of food vendors. The main show takes place at 9:15 p.m. at City Park, 10455 Sheridan Blvd. Keep in mind that parking here is extremely limited. It is highly recommended that you take advantage of the free shuttles in Westminster and the Light Rail. Every year, Parker holds their Stars and Stripes Celebration from 6 p.m. to 10 p.m. on the 4th. The event features free bounce houses and other giant inflatable activities. Food is catered by local vendors, and there’s often live 80’s tribute music from the Six Million Dollar Band. In recent years, Parker has really stepped up their fireworks game. You can expect an extravagant show complete with enormous explosions and dazzling effects at 9:30 p.m. in Salisbury Park, 11920 Motsenbocker Road. Head Northeast to Glendale and you’ll find the annual, old-timey Independence Celebration. This event takes place on July 1st instead of the 4th and features historic games, demonstrations, horse-drawn wagon rides, and more. Live music keeps the atmosphere entertaining, but the historic outfits and theme are what attract crowds. The event starts at 5 p.m. and ends at 10 p.m. with fireworks around nine o’clock. Food truck offer up delectable eats, and there’ even a beer garden at 715 South Forest Street. If you’re lucky, you might even spot the Abraham Lincoln impersonator! If you head up to the Lutz Ballfield and Stenger Sports Complex, you’ll find the festivities taking place in Arvada. The fun starts at 4 p.m. with food trucks galore and live entertainment. Face painters, bounce houses, human hamster balls, and all sorts of fun games keep residents entertained for hours. Local vendors will also offer plenty of unique wares and entertainment. Stick around for the fireworks display, which starts around 10 p.m. Located right in Denver’s South Corridor, the Palmer is located right next to Inverness Business Park and the Denver Tech Center. Combined with the wealth of public transportation, your commute to work has never been easier. These apartment homes aren’t just about location, however. What makes a home unique? Sure, the area plays a factor, but what about amenities and thoughtful designs? Isn’t what the home has to offer that makes it comforting, inviting, and livable? These eleven three and four story garden style buildings include 252 apartments complete with wood-style flooring, high-end appliances, modern countertops and walk-in closets. Private balconies offer breathtaking views of the Colorado skyline and Rocky Mountains, while expansive windows offer ample amounts of natural lighting. With 8,000 square feet of amenity space, persons of every lifestyle are accommodated here. The community clubhouse and oversized clubroom is perfect for entertaining guests or getting to know your neighbors, while the full kitchen and wireless connectivity satisfy your needs. A resort-style swimming pool offers the ultimate in relaxation after a hard day’s work, as do the connected spa and sundeck. Comunal social areas offer the space needed for a game of frisbee, walking the dog, or a picnic on one of Denver’s 3000 sunny days. While you can easily walk the neighborhood or take the light rail to your destination, The Palmer also offers private garages. We Invite you to experience all that the wonderful neighborhood of Englewood and the city of Denver have to offer. Welcome to a new level of high-end living. Welcome to The Palmer.